I had a wonderful Father’s Day this year. It was filled with family, fun and good food. In fact, the entire weekend was one of the best in recent memory. One of the contributing factors was the way I was touched this year about being the father to my wonderful kids. Looking back down the road that led to this moment is like stopping at a vista overlook atop a mountain and seeing the road below that you had just been on. It twists and turns and disappears into the trees and valleys just to reappear where you don’t expect it. Memories come flooding back of the hard times when we panicked because we thought we were lost and the timid confidence when we finally found our way. Times when the trees formed a tunnel that blocked the sky only to give way to sunshine that made us squint just to see the road. The rest stops that let us stretch our legs, grab a snack and prepare for the next patch of road. The subtle and steady rise in the road as the mountain loomed large in the windshield that made our pulse quicken only to realize just how far away we still were. The narrow roads with amazingly dangerous drop-offs that made me slow our pace and put both hands on the wheel. The disbelief of the claimed summit and the view that fills our soul with God’s wonder. This Father’s Day, my soul was filled with God’s wonder of being a dad and husband to the best family on the planet. In my wildest dreams, I never would have been able to predict just how FULL my heart is and how blessed I feel. I tend to look at things with more positivity than not – I’ve always been that way. For some reason, I generally believe things will (eventually) work out. But I know that I am not in the mainstream when it comes to this attitude. Culturally, Americans focus on the negative and the proof is all over the place from report cards (what do you focus on?) to performance evaluations (where do you need most improvement?) to self-esteem (what areas of me need some work). What areas of a report card are best? Let’s explore why and do more of that – perhaps even apply some of that knowledge to the other areas. In what areas are we finding energy at work? Let’s get involved in more of that and see our job satisfactions go up. What part of me do I love? Keeping a list of those qualities about myself that are awesome handy when those old tapes play. Knowing how to shift our thinking to focus on the positives and strengths around and in us takes some serious work up front, but the payoff is phenomenal. Take another example: spirituality. Christians often want to focus on how depraved (opposite from God) we are and it comes out in the way we talk about ourselves. We call ourselves sinners and unworthy and undeserving when the facts of Scripture, when understood fully, paint a much different picture. Sinner vs. Saint: In most of the apostle Paul’s opening remarks to the Church in his letters, he refers to the Christians there as “saints” – not saved sinners. Do you see the difference? It might appear subtle at first, but it isn’t – it is very profound! Let me explain. When Christ enters our life and saves us from an eternal separation from our Heavenly Father, He must to do something with what separated us to begin with – our sin. The idea is that although we deserve to be judged and sentenced to eternal separation from God, He moved toward us and forgave that transgression and placed them as far away from us as the east is from the west (infinity). The picture the Psamlist wants us to put in our mind is one of a new identity – one of sainthood. We are no longer identified by our sin because it has been removed from us. No, in all these things we are more than conquerors through him who loved us.38 For I am sure that neither death nor life, nor angels nor rulers, nor things present nor things to come, nor powers,39 nor height nor depth, nor anything else in all creation, will be able to separate us from the love of God in Christ Jesus our Lord. A basic tenant of the Christian faith is that God forgave all of our sins – past, present and future – through the blood of Christ and there is nothing that can come between us and our Father ever again, which includes us. So, if God doesn’t count our sins against us, why are so hell-bent on identifying with them? There are a ton of real unhealthy answers and most have to do with our inability to accept anything good about ourselves and this comes from our culture, our parents, our teachers, and even our church. This has to stop! When God looks at a Christian, He sees His Son – not sin. He sees His adopted child, not an enemy. He sees an eternal relationship, not a fling. And that is called Grace – the umerited favor of a Holy God applied to a wretch headed to Hell made possible through the willing sacrifice of the Lamb of God. Here’s the point. If you believe in Christ and have accepted His death as payment for your sin, you are a saint; an heir to the Kingdom of God; eternally destined to be with Him who saved you. Your sinner status has been revoked…FOREVER! Do we still sin – sure we do, but that has more to do with us than Him. Hear me carefully – our unwillingness to admit our mistakes openly and honestly and quickly is what taints our relationship with God – not the mistakes themselves. The power of those mistakes has been removed, but we hide from God when we screw up – we cover our nakedness and live ashamed. WE DO THAT! 7 for he who has died is freed from sin. 8 Now if we have died with Christ, we believe that we shall also live with Him,9 knowing that Christ, having been raised from the dead, is never to die again; death no longer is master over Him.10 For the death that He died, He died to sin once for all; but the life that He lives, He lives to God. 12 Therefore do not let sin reign in your mortal body so that you obey its lusts,13 and do not go on presenting the members of your body to sin as instruments of unrighteousness; but present yourselves to God as those alive from the dead, and your members as instruments of righteousness to God. 15 What then? Shall we sin because we are not under law but under grace? May it never be!16 Do you not know that when you present yourselves to someone as slaves for obedience, you are slaves of the one whom you obey, either of sin resulting in death, or of obedience resulting in righteousness?17 But thanks be to God that though you were slaves of sin, you became obedient from the heart to that form of teaching to which you were committed,18 and having been freed from sin, you became slaves of righteousness. So, the next time you want to dwell on your depravity, do so as a way to remember how great the gift of Grace is, not how horrible and undeserving you are to be called saint. You are now a noble in God’s Kingdom – act like it! I was asked by a friend who’s life was falling apart why he should live according to God’s Word. After all, good behavior had gotten him nowhere; in fact, he considered himself worse off because of it. The second part of our banner is Live Well. We covered Love Much in a previous post and Light Your World is coming up. What used to come to mind for me when I heard the term “live well” was keeping my nose clean and staying out of trouble, but I’ve come to learn it’s much more than that. Just like loving much involves more than taking someone some chicken spaghetti when they break a leg, living well is much more than staying out of jail. Evidence of this is found in the Gospels (first 4 books of the New Testament of the Bible) in the way Jesus talked to those He met. The call was (and is today) to go and sin no more. You see, you can’t go very far down the Live Well road before you understand that you must Love (Him) Much first. Living a life well is a response to His Love and must be rooted in some very weighty beliefs. First, you must believe that God desires the very best for you. When Jesus talked about the abundant life, he wasn’t talking about a life free of pain and struggle. He was talking about a life that is used to it’s fullest potential to impact His Kingdom. He was talking about life lived with His perspective, not ours. With His priorities, not ours. With His values, not ours. Second, you must believe that God has a purpose for your life. He uniquely crafted you with abilities, skills and experiences for His purposes. Exploring what those things are, with an eye purpose, is a fantastic way to understand why you are still sucking wind behind your keyboard. Assessments, other people and some good ole soul searching are great tools to uncover this information. Finally, you must understand that a life lived well typically will mean hard times become the norm. There’s an Enemy lurking for anyone who starts making waves for God. For some, that will be enough to return to status quo, but for those resolute few who really desire to live well, it merely strengthens their resolve. Additionally, there is still Joy to be had when hard times come because we now have a perspective that we’re being used to make a difference. So, the question about why we should live life well goes all the way back to a response to His Love and moves out from there to being effective in Lighting the world around you. Hmmm…that seems to be the next topic. *PARADIGM CHECK: Are people asking you about how or why you live life the way you do? A life lived well is different from the world – different decision grids, different actions and certainly different values. If you look, act and smell just like everyone else, perhaps it’s time to examine your life from His perspective and ask some overdue questions…on your knees. My church, Fellowship Bible Church | Little Rock, recently had a sermon series called “Love Much, Live Well and Light the World” – a three-parter that was magnificent. I wanted to spend s0me time telling you why I think so. First – the combination of the three summarizes perfectly the message Jesus has to mankind. If you spend any time reading the Bible – especially the first 4 books of the New Testament – you will see this message over and over. Jesus was always calling people to love God and others, to live with purpose and integrity and to influence the world around us. The degree to which we can love others is based on how we love God and the degree to which we love God is based on how fully we understand His love for us. I believe the reason we don’t/can’t love people deeply is because we don’t grasp how incredibly deeply we’re loved by God. 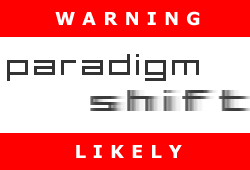 A paradigm shift is needed – as with all things related to God. We must examine what’s inside before we can reflect it outside. One of the best places to start your journey of understanding of God’s Love is the book of Ephesians in the Bible. God describes us as noble heirs to His Kingdom through the redeeming blood of His Son. To be reconciled to God is to return home – right where you belong and the peace and love you feel from the Father will allow you to love people well and extend grace just as it was extended to you. Being loved by your creator is incredibly life changing, but all too often, we can get in the way. We believe the lies and play the tapes that say we’re not worthy or ready and we resist being embraced. Once again, you have to change your beliefs and it starts with knowing that you are the most valuable thing to God. He sent His Son to die so you and He could have a relationship – what could be more evidence of your worth to Him. Let that sink in, believe what you read in Ephesians and ask Him to make it all real in your heart. Over time, you will understand what it means to love much and how important that is to living well and influencing the world around you, but more on that later. May our hearts break for those in the valley, rejoice for those on the high places and may we never forget how He loves us much! *PARADIGM CHECK: Spiritual maturity is measured in love, not years. We must evaluate ourselves and others against how well we love people. Continuing the series Meat & Potato (MP) Sermons is a foundational, yet greatly misunderstood part of the Christian faith. The importance of understanding Grace in the context of God’s Love is mind-blowing and life-changing to say the least. 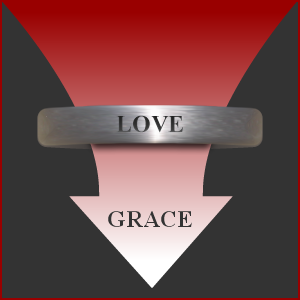 Grace is defined as unmerited favor and it is a gift from God. Gifts are valued by what they cost and I think the lack of understanding of what Grace cost God is the root of the issue for why most people don’t “get it”. In order to process the immeasurable value of Grace, you really have to go back to the garden of Gethsemane and see Jesus wrestling with His destiny of being separated from His Father for three days. Jesus spent hours asking one question in the garden – are you sure there isn’t some other way – all the while committing that the Father’s will be the leading factor in the entire decision. Think about that for just a minute. Here is the Son of God wrapped in human flesh – the only man to have perfect communion with God 24/7 – wrestling with God over having that communion broken for 72 hours. 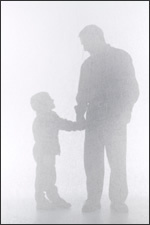 If you’re a parent, you can probably remember the first time you left your child with someone else overnight. There was probably multiple phone calls and very little time not wondering how they were doing. That bond is insignificant compared to the bond that Jesus has with His Father. Grace is a gift that is given at a very high cost and it was Love that propelled both God the Father and Jesus toward being able to present that gift to mankind. Grace is what allows us to respond to God’s call when He wants to save our eternal soul. Grace separates unrighteousness from the person God wants to use for His purposes. Grace is the ultimate expression of God’s Love and is the only way God and His creation can be in relationship with one another. Understanding the Grace that God gave us should also have a dramatic effect on the way we relate to others. You see, we have been forgiven everything and been loved into eternity with God. That Love dictates that we extend that same kind of forgiveness and love to others. May we allow that very Love to compel us to place the highest of value on each and every person we face and consequently strive toward relational harmony always. Bitterness, strife and hatred are signs that God’s Grace isn’t understood. Likewise, legalism (the strict adherence to rules at the sake of relational intimacy) is a sign that we place a higher value on being right than being close and indicates spiritual immaturity. We need more teaching on Grace and Love – first to better understand what God gave us and then applying that same gift to the people all around us. Lord, may you continue to extend my understanding of your precious gift and grant me the wisdom and courage to act accordingly toward those people you place in my life. Thank you for saving me and expressing your wondrous Love via Grace.